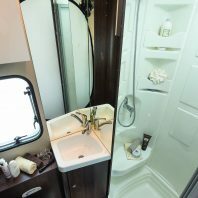 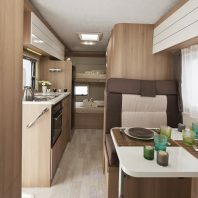 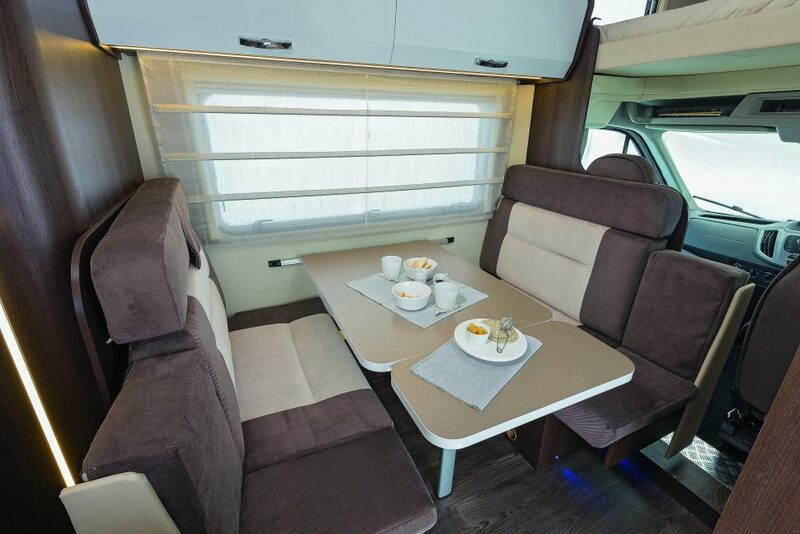 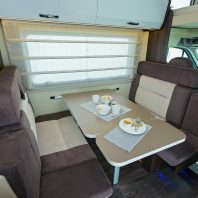 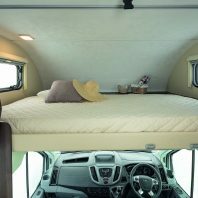 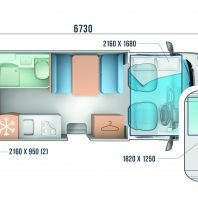 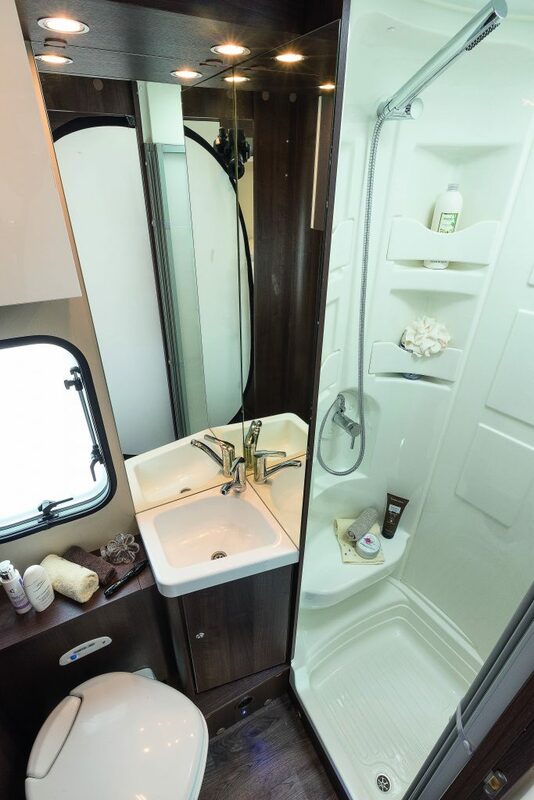 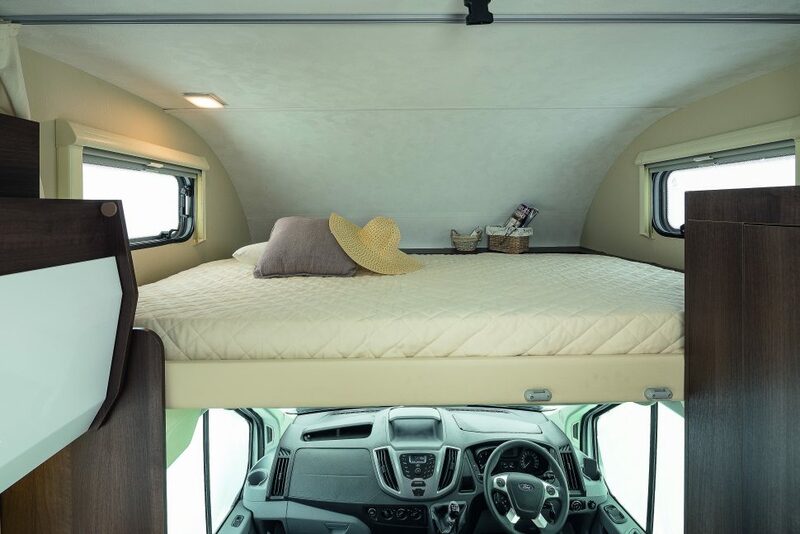 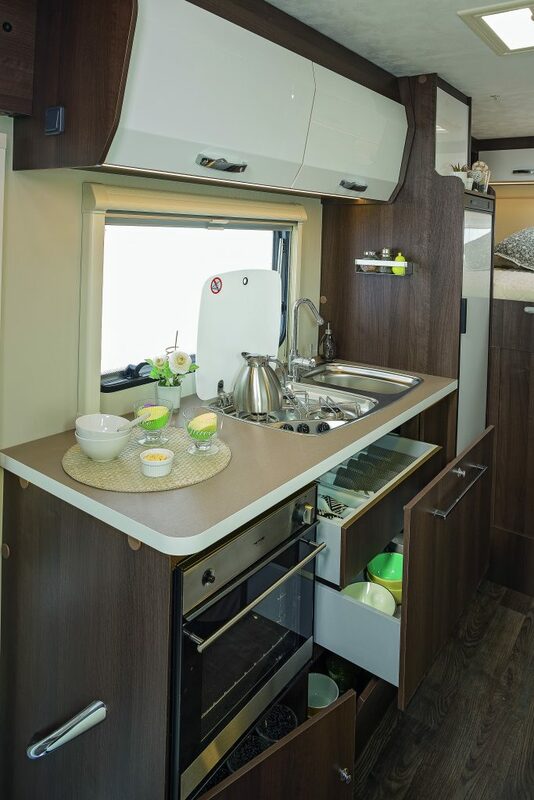 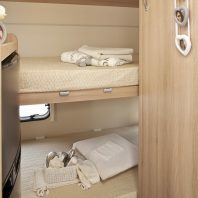 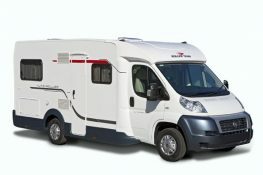 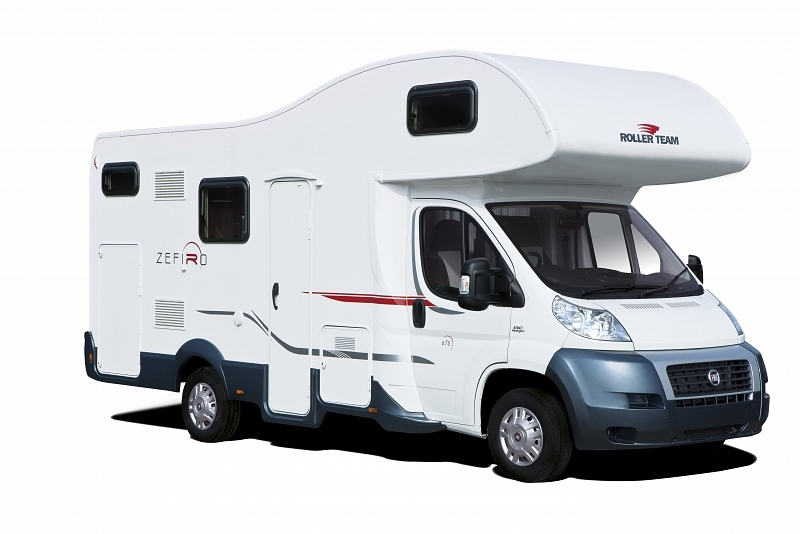 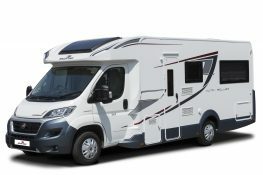 The Roller Team Auto Roller 675 Zefiro has a dinette for up to 6 dining places, a big over-cab bed and rear bunk beds. 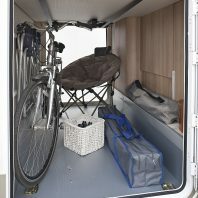 The bottom bunk can be stowed away to create a large storage area accessible from outside, ideal for bicycles or larger items. 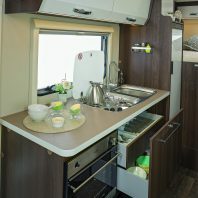 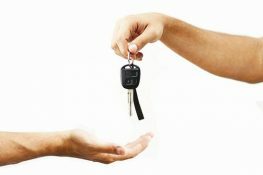 Available as both pet friendly and none pet friendly.